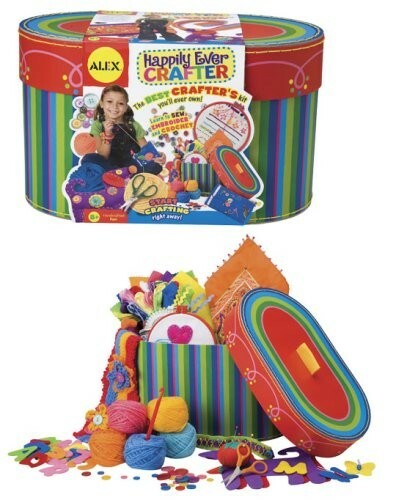 Alex Happily Ever Crafter allows you to learn the essentials of crocheting, embroidering, and sewing in one awesome kit. 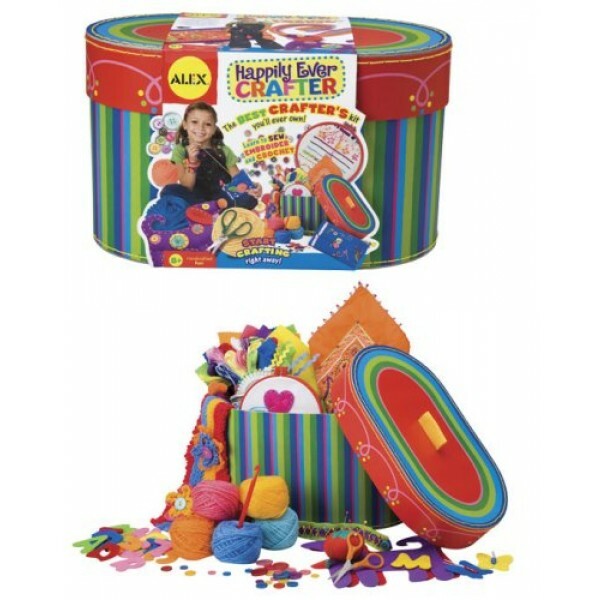 It comes with everything you need to make 9 separate projects plus materials to use your skills on your own. Includes materials and instructions to make a stuffed dog, coin purse, felt brooch, embroidered bandana, wall hanging, sewing pouch, hair ribbon, bracelets and a scarf, packed in a printed storage case with lid.